LMT writers Kendra Ablaza and Judith Rayo gave us a rundown yesterday of the monies that local candidates have taken in and what they've spent. As usual, there is the huge disparity in fundraising between individual campaign coffers. 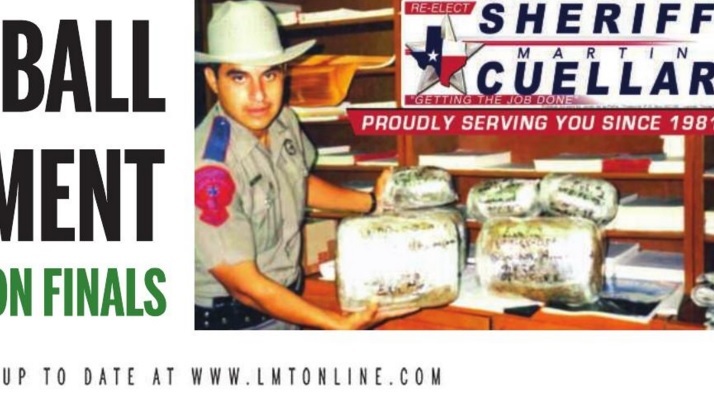 Sheriff Martin Cuellar came out as the most successful money-getter, raking in a whopping $164,639. The sheriff has used those funds swiftly, buying ad space on TV, newspapers, and printing glossy fliers that ended up on our front gates. 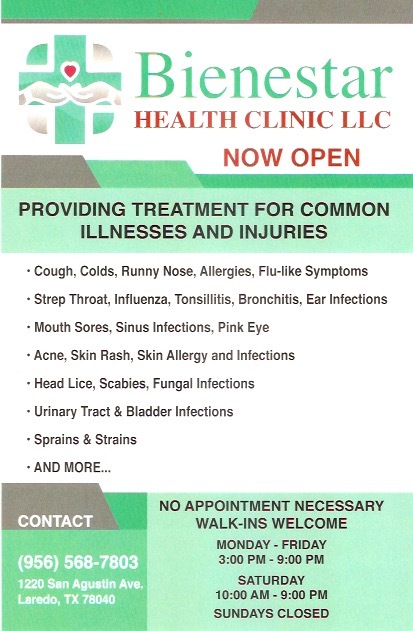 The photo below is a section of the Laredo Times where Cuellar has presented himself in a favorable light for several weeks now. In this pic he's posing with what seems to be his laundry order. Heavy starch, please. When people have confidence that a candidate will win, they will support them financially, Strother said, adding that he expected more of a challenge from Flores. The Flores that Strother if referring to is none other than challenger and cowboy hat aficionado Rick Flores. Strother shouldn't be saying that he expected more of a challenge from Flores when Sheriff Cuellar didn't even show up to debate his arch nemesis in public. Don't boast, sir. Money apparently buys you premium ad space, and the luxury of not having to show up for debates. Alas, another Webb County incumbent was a no-show to political forums this year, so there might be some value to going into hiding during election season. But enough about the sheriff's race. Let's focus on another anomaly in 2016 campaign finance reporting. 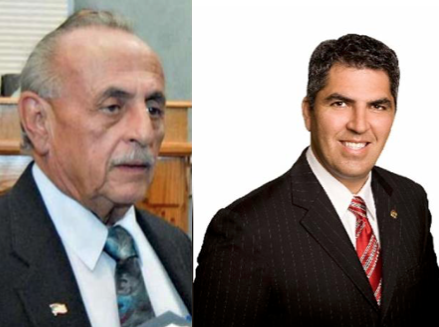 Of course, I'm talking about Louis Bruni and Esteban Rangel not providing any report whatsoever to the elections office. (refer to graphic above; graphic courtesy of Louis San Miguel) I don't really care about Bruni's finances. Frankly, I don't think he's got a snowball's chance of making the runoff for the 5-man Pct. 1 commissioners race. What's more interesting is that Rangel has no information available for the public, leaving reporters to assign a N/A designation next to his head shot. Super Tuesday is tomorrow and we don't know who has contributed to Rangel's campaign, or how much he has spent. A Webb Co. elections office staffer informed me that the deadline to submit reports was February 22, 2016. Unfortunately, they can't sanction the candidate for neglecting to turn in his paperwork. There's a different route for that. Rangel's case is special. 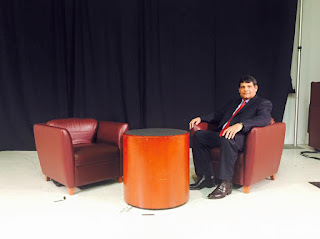 He's made connections at city hall (as a council member) that might give him an edge over other candidates. #contributions But he might still be on the hook for paying the city back money that he should not have been getting. [Rangel was receiving a paycheck as an LISD director and councilman, a state law NoNo] Rangel has also been using every resource at his disposal as council member to put his name out there: He's put his face on city library billboards; He's had press conferences for trivial projects; and he even used city property to help him campaign in local parades. And just when you didn't think it could get any more cynical on his part, he holds out on releasing his campaign finance report. Administrative misstep or tactical maneuvering? He has tv commercials airing, campaign billboards with his 'moving forward' message, and a nifty little website that's been public for a while. That costs money. 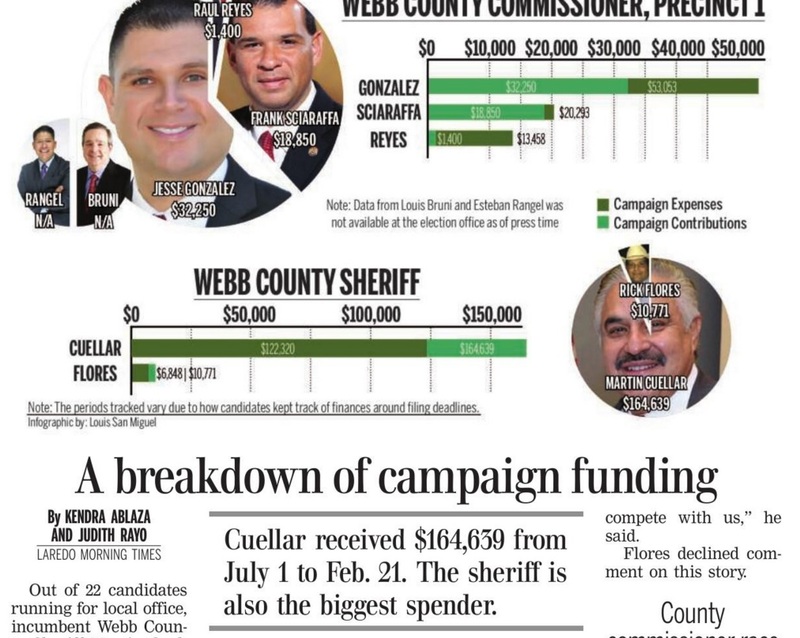 I would venture to say that his spending is similar to that of Sheriff Cuellar's. But as long as nobody asks any questions, he won't bother to be straight with us. 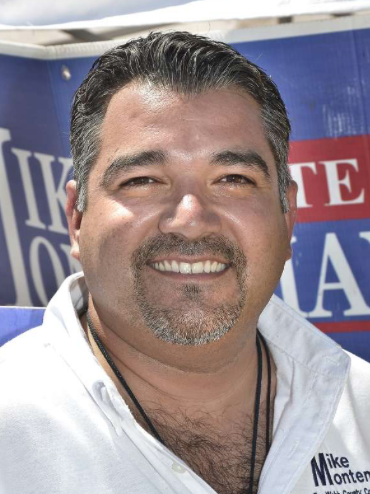 Esteban Rangel was cited for putting up campaign signs with misleading information. On them he forgot to include the word FOR (county commissioner). He was basically passing himself off as the real thing. He was called on it and had to edit his signs. 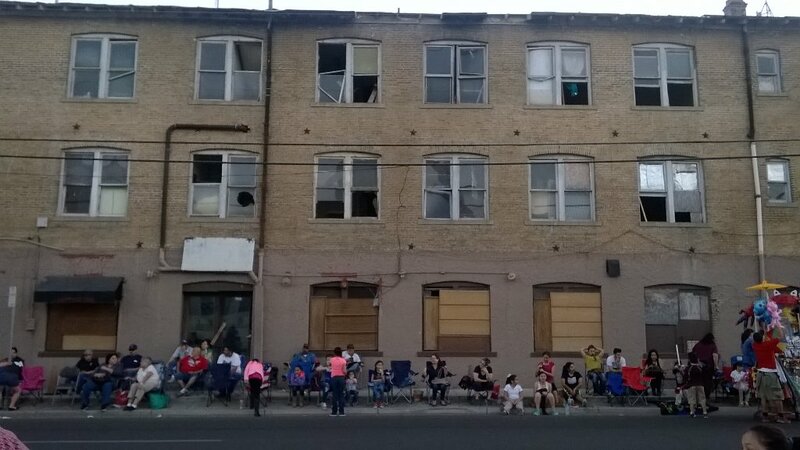 The youth parade was held last Thursday, February 18, in downtown Laredo. 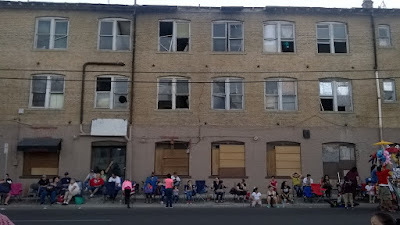 We staked out a spot on the 1300 block of Victoria. The parade goes on another three blocks from there, ending near St. Peters Plaza. At 6:30 p.m., the procession had not made it to this part of town yet. Across the street from the federal courthouse, the former St. Anthony Hotel stands vacant. It's actually for sale, but who would want to take on the responsibility of restoring the site? Anyhow, I thought it made an interesting backdrop for the people who lined up to see the parade. It's an eerie edifice that sits idly by as a parade goes through the motions. The new route goes between the Haynes Rec. Center on Clark Boulevard and Hwy 359. At one point I was told that the whole project would be completed in ten years. But with seven years out, the city has only 2 phases to show for it. In 2012, the first phase* of the trail was lined with asphalt. In December 2014, a bat viewing site was dedicated. There have been other improvements, such as the addition of picnic tables. The trail itself, however, is slowly becoming a reality. (Key word there is slowly.) To echo a comment I made years ago, I hope I still have the energy to bike this trail when it's fully completed. By that time, I may have to ride it on a motorized scooter. Last year things came to a head in paradise when the county auditor was ejected from a commissioners court meeting. It came after the auditor, Mr. Leo Flores, had several run-ins with Commissioner John Galo. Flores was viewed as insubordinate, and Galo took offense to him many a time. The soap opera was so tantalizing that I thought it merited a timeline. Since the auditor's ejection (June 22, 2015 to be exact) Mr. Flores had been in exile, thanks to the handy work of John Galo and County Judge Cayetano Tijerina. They requested that the DA's office get involved to investigate the auditor. Mr. Flores was accused of misappropriating county funds. After eight months, however, a grand jury didn't find sufficient evidence to indict Flores. He's been cleared for now, but a bumpy road lay ahead for all parties involved. If and when the auditor returns to work, reporting to commissioners court, he'll be kept on a short leash, so to speak. Every action the auditor makes will be closely examined, even if those that will keep a watchful eye have egg on their face. Eventually we may know the full truth, but for now, it seems that the county judge and John Galo were too hasty in casting out the county auditor. They were so sure that Mr. Flores had committed a heinous transgression that they were quick to throw the book at him. The evidence against Flores, nevertheless, was lacking. Tijerina and Galo come out looking incompetent and petty through all of this. Galo more than anyone seemed to be acting out some personal vendetta against Flores. I'll watch out for the next meeting to see what kind of tone the convo takes. I'm not expecting anyone at the dais to apologize to Mr. Flores; Egos, after all, are hard at work around every corner here. Tensions may rise again, but we'll have to wait to see who'll flinch first. Oh the suspense. 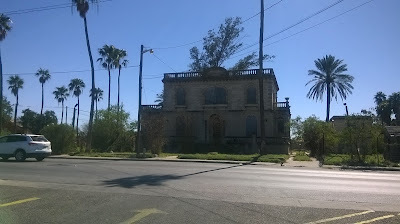 What you see above is the appraised value of the Canseco house located on the corner of Seymour Ave. and Chihuahua (behind Burger King on Guadalupe). 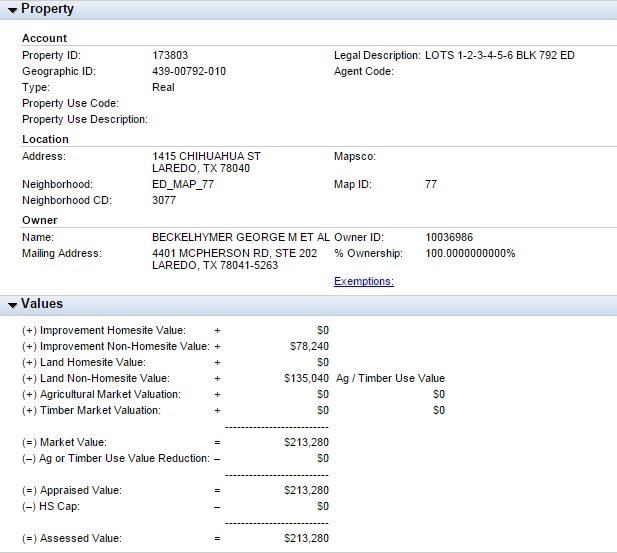 The property is valued at a little over $213,000. The unique home, which has been vacant for a long time, was discussed during a city council meeting in 2011. George Beckelhymer spoke about the home's history, and about donating the property to the city. The only thing I've seen at that site that's hinted at any type of construction activity is the placement of orange-painted stakes at the perimeter. In the summer of 2011, Councilman Alex Perez put forth a motion to have the city lease the property for a "nominal yearly rental with a view towards making renovations to the building." After that, it was going to be donated. In 2012, Perez thanked the Beckelhymer family for their donation in a Facebook post. Fast forward to 2016 and the story has changed. District 3 update: The City has officially purchased The "Canseco" house for renovation! It will be a majestic project! It will cater to the arts and be a destination place for all! Groundbreaking will be in April. Apparently the deal fell through; And the city has bought (or is going to buy) the house. 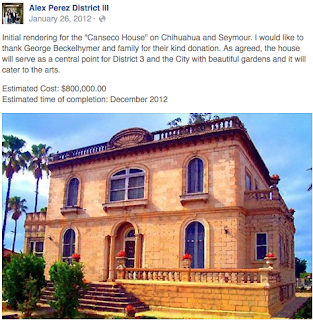 There is an agenda item on for Tuesday's meeting where the Canseco house will be bought by the taxpayers for $450,000. 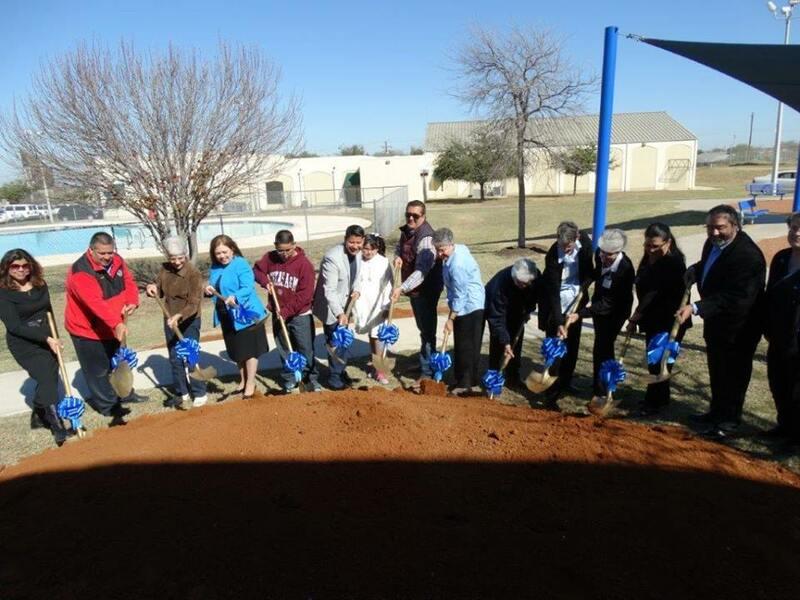 I'm all for community development, especially when it benefits the older neighborhoods of Laredo. But how did this deal go from nominal yearly rental to $450,000, courtesy of the people? What happened? And how much more is it going to cost to remodel it? And spare me the "it will cater to the arts" line. Does that mean cocktail parties for the well-to-do of Laredo? If the city is going to spend hundreds of thousands of dollars on this house, it should benefit the entire community, for an array of events. 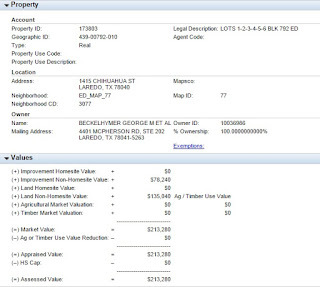 The property was appraised at $213,000. And the Beckelhymers were paying taxes on that amount. But to hear the city explain it, the owners are giving us a $90,000 credit and only selling it to the city for 450K. Damn! Don't be so generous, Beckelhymers. I just hope this purchase doesn't turn into the Plaza Theater saga, which was bought by the city and never renovated. What about the old federal courthouse downtown that was donated to the city? That was going to house city council chambers. And then the Cigarroa office building on Logan. If I remember correctly, the city leased that property for 5 years, but never did anything with it. I really don't like the way city hall carries out its affairs. There's a trend here and it doesn't look very good. It's fascinating to see people maneuver their way through the world of politics. Whether it's a candidate or spectator, people have different motives for acting on their beliefs. People will vote (or not) for a person based on what they see or hear. 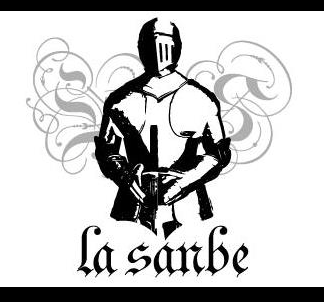 A candidate may seem trustworthy, competent, or just amiable. Sometimes their public persona is all we have to go on. For those who decide to run, it's different: They run for office because of their ego, their need to leave a mark, true civic duty, or the mere chance to get paid. 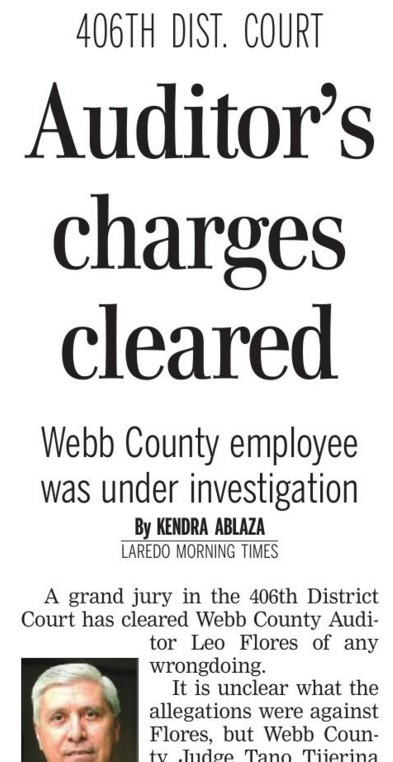 Laredo and Webb Co. definitely has its share of political characters, most with questionable motives. Let's take, for instance, the case of Esteban Rangel. 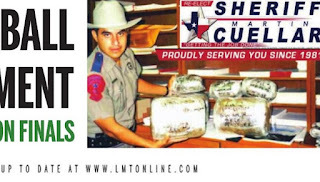 He, like Sheriff Martin Cuellar, has been taking every opportunity to put himself out there, be it through billboards or t.v. interviews. Early last year, Rangel plastered his face on billboards touting the new south Laredo library. Rumblings were confirmed, when in November, Rangel announced his candidacy for commissioner. (He was re-elected as councilman in November 2014). 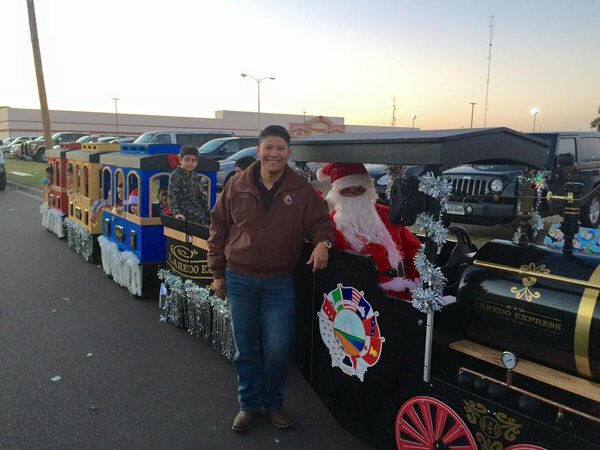 For the Christmas parade, Esteban Rangel walked the San Bernardo route with his supporters waving campaign signs and handing out treats to the kids. What I thought was a little self-serving was him using city property - in this case a train - to appeal to the masses. There he was running for commissioner while wearing a jacket with the city's seal (to match the engine). 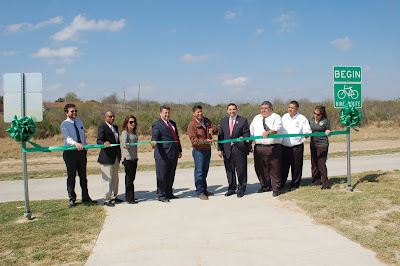 This month he announced the new water feature for the Freddy Benavides Park: a lazy river. The presser was held at the Haynes Rec. Center, for some reason. Then he had another media love fest press conference to announce the naming of said lazy river. I thought he was going to name if after one of his cronies or something. But instead, he named it after the Sisters of Mercy. I don't know what the sisters have to do with swimming pools, but perhaps he's taking a page from Charlie San Miguel, who named the North Central Park Pool after his dad, the deacon. Again, Rangel made that announcement nowhere near south Laredo, where the pool is going to be constructed. 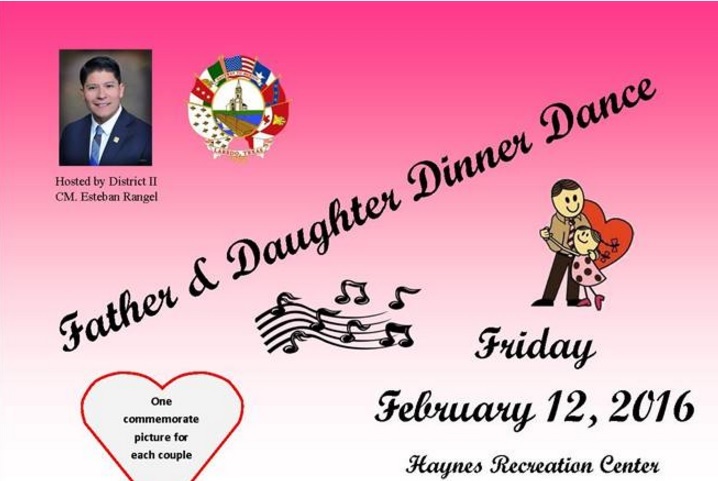 That same day of the pool feature press conference, Rangel participated in a forum hosted by the Kiwanis club. [doesn't this man have a job?] 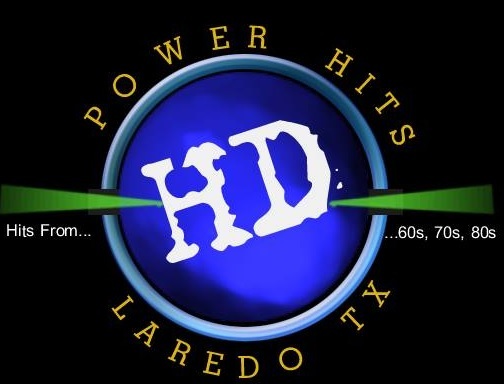 He spoke to the KLDO reporter, lamenting the fact that the Rio Bravo water plant still had obstacles to overcome. No han pudido estar en compliance. Gotta love him. At least he puts forth an effort, unlike another politician who shall be named shortly. 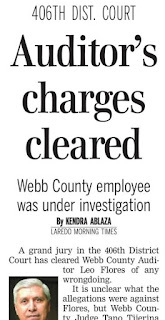 But here's a tip for young Esteban: if you're going to run for a position that represents southern Webb County, it would be highly advisable to brush up on your Spanish. "Estar en compliance" is not going to cut it. It's amusing for us, but that pocho package is not going to score you points. It's all these little 'estar en compliance' details that bother me. But they don't bother the candidate. 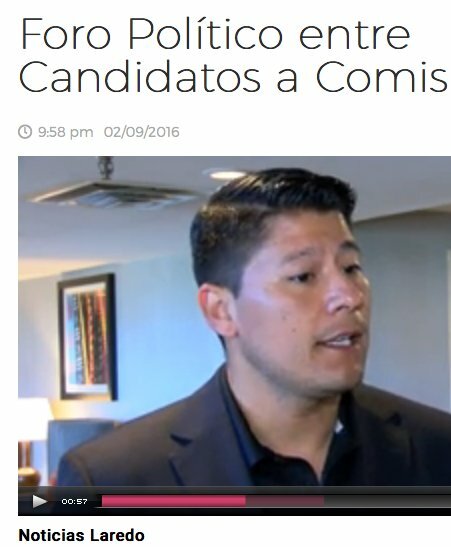 He thinks he's the right man for the position of county commissioner; Missteps be damned. He's going to play the political game the best way he knows how. He may have another meaningless press conference/interview before March 1st, just to put his mug out there. Yep. I know him too well. On the other side of the spectrum you have the incumbent, Commissioner Frank Sciaraffa, who is nowhere to be found. He has a different game plan. Sciaraffa's approach is to be seen and heard as little as possible. Rangel apparently doesn't have that type of luxury, where you can retreat to gawd knows where, and still come out a winner. 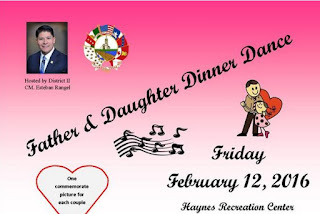 The councilman instead has to host every little function he can possibly have in order to win over the public. Like I said, people go on about politics differently. You're either camera friendly or a hermit. You're either Team Donald Trump or Team Bernie Sanders. It's a toss up sometimes. People work with what they have. Whether it pans out for anyone is another thing. In the span of one week, Esteban Rangel has had three press conferences for the same project: one to announce the lazy river, one to name it, and one to have a ground breaking for it. Superbowl 50 took place yesterday in San Francisco, CA. The Denver Broncos defeated the Carolina Panthers. It wasn't a thriller. Anyhow, there's been talk that Peyton Manning will retire. We'll find out soon enough. In the second half of the game, I saw a couple of commercials that had some local significance. 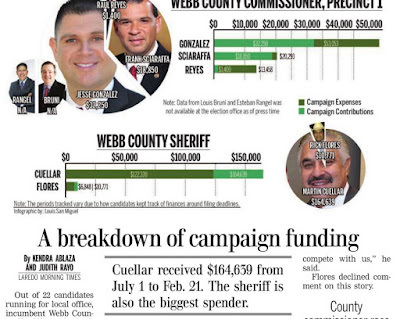 One was for Martin Cuellar's campaign, where he flashed a shot of a proposed design for a new Webb Co. jail. I know he's been talking about wanting a new facility, but I don't know that it's financially realistic. I tweeted a message to the sheriff's department; Maybe they'll tweet back an answer. The other commercial I saw was for Border Bail Bonds. In the t.v. spot, a small group is watching a football game. The woman sitting on the far left looked familiar. Was it La Gordiloca? A social media follower quickly confirmed my suspicion. The Gordiloca, who has 35,000 followers on Facebook, reports on the carnage that occurs on our city streets in real time. If there's any damage to property that needs your attention, chances are La Gordiloca will be there to report on it, complete with video footage and commentary. The only reason I recognized her in the commercial is because the Laredo Times ran a story on her yesterday as well. 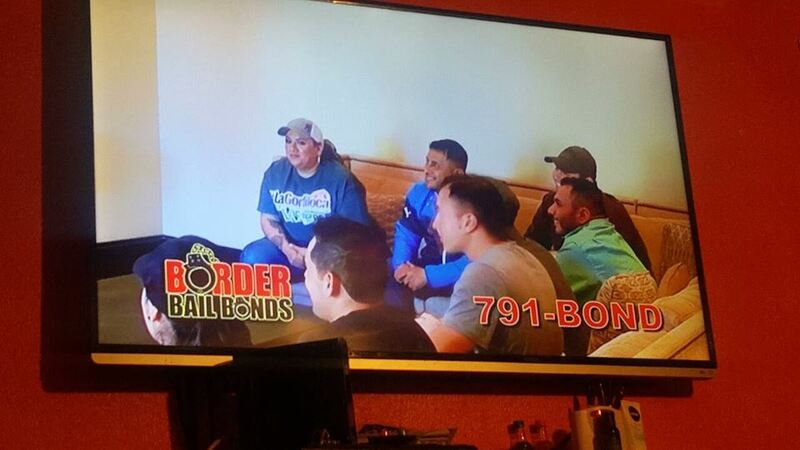 The 'internet phenomenon' told the newspaper writer that her introduction to the Laredo masses was when she posted the video of the police response to a double homicide in west Laredo. On March 9, 2015, two girls were gunned by a neighbor. La Gordiloca was in the vicinity when that happened and she managed to capture some pretty disturbing footage of the aftermath. Because of that clip going viral (by Laredo's standards), the Gordiloca was born. 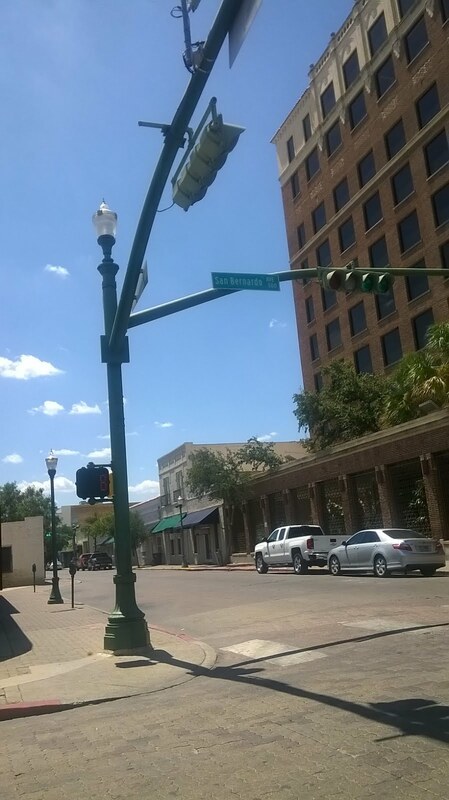 I don't begrudge her taking a pedestrian approach to reporting breaking news in Laredo. Hell, I wish our local media outlets did more of that. However, I don't know how much of a shelf life she has if she's only going to be reporting on cars crashing into things. Good luck to La Gordiloca. I think there's a void she's filling. I just hope her M.O. doesn't get tiring.